A well presented and immediately available first floor ( top ) flat with two bedrooms, an entrance on the floor below and good sized eat-in kitchen. Ellingham Road is a quiet tree lined road running south off Findon Road and the property is situated near the end of the street and overlooks Greenside School. It is an approximate 10-15 minute walk to Shepherd's Bush Market or Goldhawk Road tubes, and 5 minutes further to Westfield and Central line tube/Mainline stations. Ravenscourt Park and Hammersmith are within easy walking range to the south. 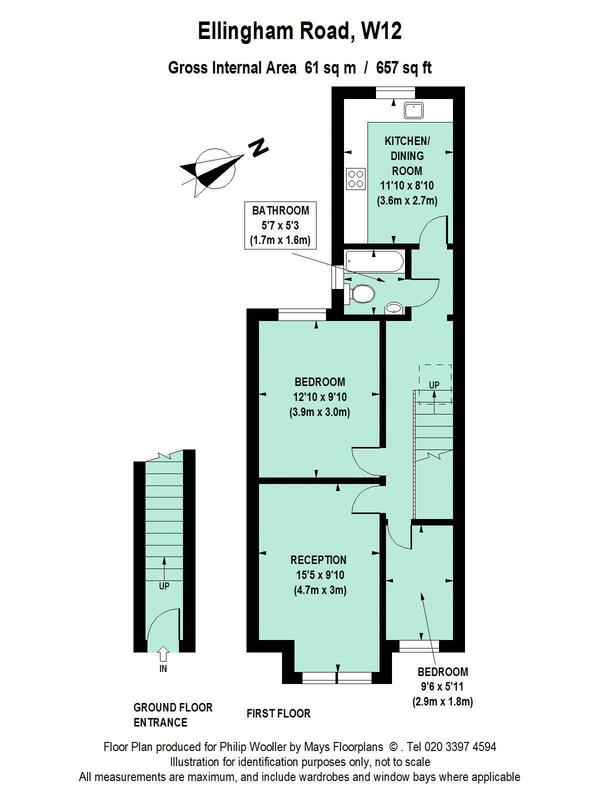 657 sq ft / 61 sq m approx.